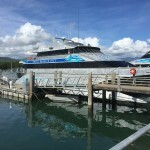 Another early start as we had to be in Port Douglas at 9am to catch the boat to the reef. We left the apartment just before 8am and headed north and were soon driving along one of the most beautiful coastal roads, with great views of the Coral Sea to our right. We arrived at the port in plenty of time and grabbed a coffee before joining our boat for the day. 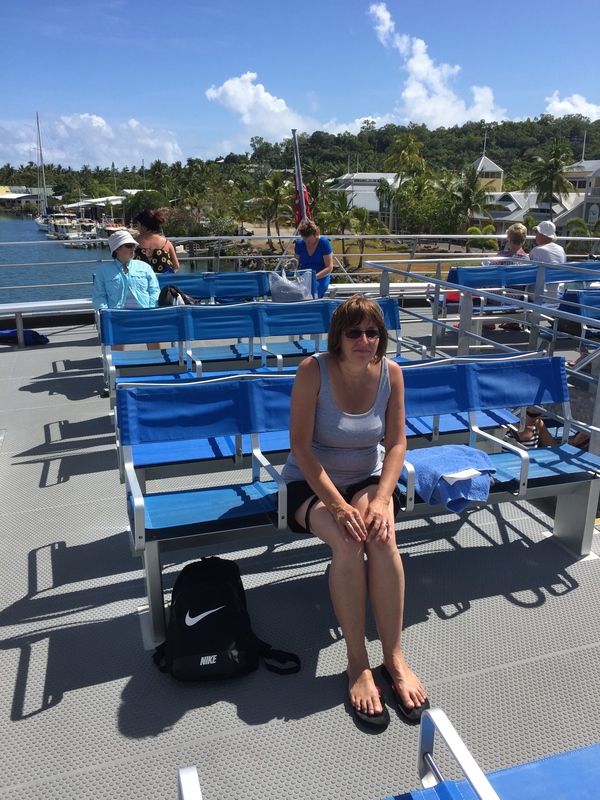 There were quite a few people waiting in the queue but apparently it wasn’t that busy so we had no trouble finding a spot on the top deck to enjoy the sunshine during the onward journey to the pontoon. 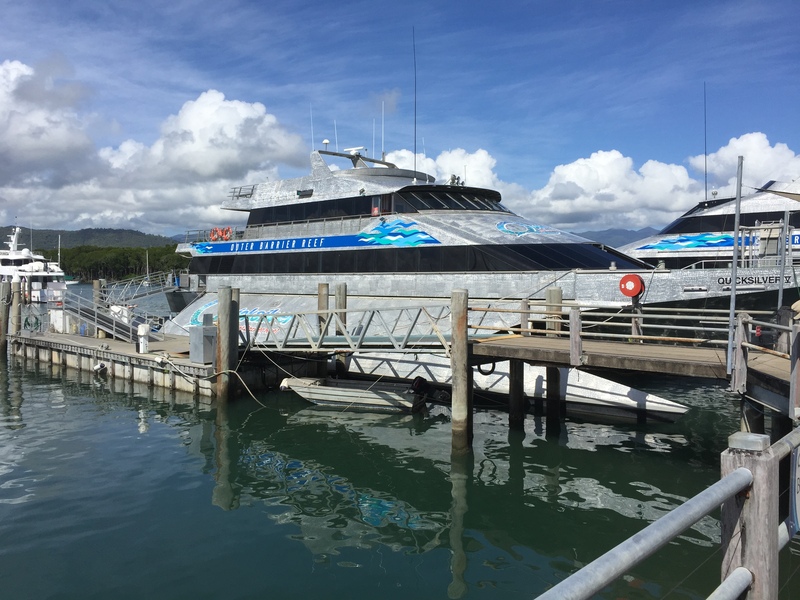 Once the boat, a catamaran made completely of aluminium, set off we were cooled by the sea breeze as it sped up the coastline before heading eastward out to sea. The journey took around 90 minutes and so we enjoyed the ride, stretched out, slowly burning in the heat of the morning. 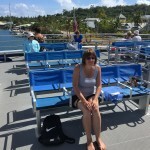 As we approached the pontoon we started to see the clear waters of the reef and the golden sands surrounding them. 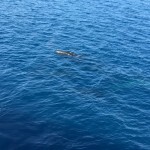 We crossed onto the main deck of the pontoon and soon donned our stinger suits and snorkeling gear. 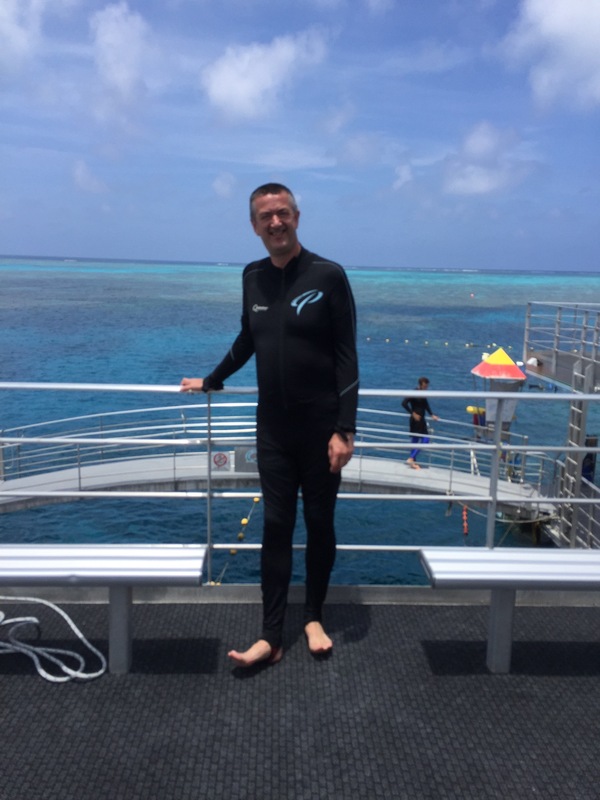 There is a high risk of getting stung by jellyfish in the coral seas so it is advisable to wear the lycra suits (at an extra cost of course) and it seemed everyone was wearing them so it was silly to ignore advice. I fact getting stung by a box jellyfish can be lethal. 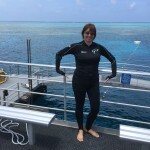 Once Tina had sorted out some prescription google’s were were off; I having done snorkeling before got straight to it but Tina, a first timer, was a bit more wary. 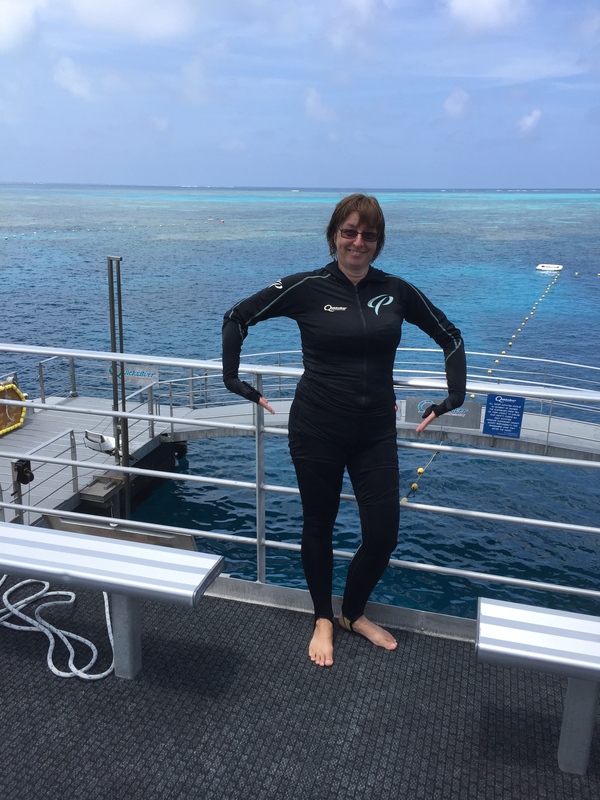 But she soon got to grips with breathing (always helpful) and we spent a good hour exploring the reef and looking in wonder at the varied fish and coral below. The waters were so clear and the fish didn’t seem bothered by us, swimming up really close at times. 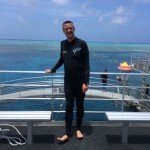 On my only previous snorkeling trip, with Matt in Florida, I thought what we saw there was great but it was no comparison to what we saw at the Great Barrier Reef. Fantastic. We returned to the pontoon for some lunch, a really good spread with plenty for me too, before getting back into our suits for more reef watching.An hour later and we were both exhausted so we got out for a drink and relax before the trip back. 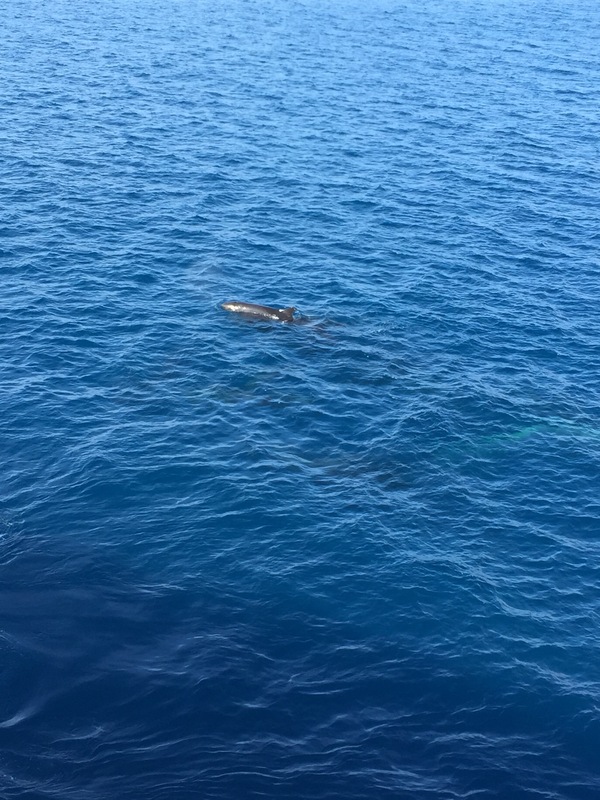 Soon we were making our way back to port, not before the captain stopped the engines for a while when a pod of minke whales were spotted close by. I got some great video of this rare encounter, they were apparently unusual to be seen this late in the year. Eventually the captain said we had to move on, which was a shame as we could have watched them all day. At port we grabbed a coffee before driving back to the apartment for a rest before going out for a pizza in a restaurant close by.